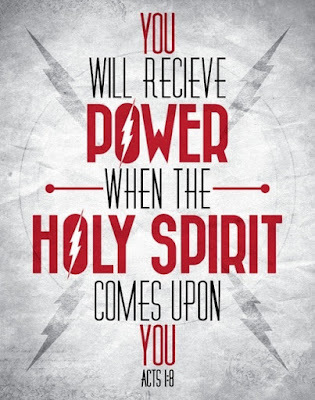 It is simply amazing the power of the Holy Spirit! The Holy Spirit is all encompassing as He works in and through us and not only that around us. God, in His infinite wisdom knows that man, left to his own devices and even with the best of intentions, cannot carry out His will. Thus He gave His Holy Spirit to whosoever will to lead us and to guide us. Now when they had gone throughout Phrygia and the region of Galatia, and were forbidden of the Holy Ghost to preach the word in Asia, After they were come to Mysia, they assayed to go into Bithynia; but the Spirit suffered them not. For those of us who have accepted Jesus Christ in our lives and received the precious gift of the Holy Spirit now have a force working within us that enables us to not only resist the enemy and the influences of the world and our self-nature, we also have the power to obey the will of God and the authority to carry it out. Even the Spirit of truth, whom the world cannot receive, because it seeth Him not, neither knoweth Him; but ye know Him; for He dwelleth with you, and shall be in you. 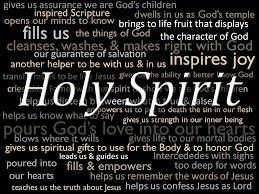 The Holy Spirit gives spiritual gifts to believers. These are specific abilities to enable him to function effectively as part of the body of Christ [Church]. The Holy Spirit also develops spiritual fruit in a believer's life. Spiritual fruit refers to the nature of the Holy Spirit in the life of a believer. Is there any wonder that John lets us know that what dwells inside us is greater than any force outside of us?